As the aftershock of the Brexit vote set in, TDs were contemplating what it all meant for us. IN THE EARLY hours of yesterday morning, many people awoke to news alerts on their phones that the United Kingdom had voted to leave the European Union. As political parties scrambled to get their press releases and media briefings together, those in Leinster House waited to hear what Taoiseach Enda Kenny had to say. While the UK news channels dissected what it meant for them and the future of their union and place in Europe, on this side of the water people wanted to know how this is going to impact on Ireland. The government kicked into gear a number of months ahead of the vote – sending ministers across the Irish Sea to convey to the Irish community how vital their vote was. It has also been working on contingency Brexit plans for each department for close to two years. In the halls of Leinster House, there was a strange atmosphere – a sombre mood, and an air of disbelief. While hordes of schoolchildren were on conveyor belt tours of the building, the Dáil, which usually does not sit on Fridays, was debating the new paternity leave bill. However, outside the chamber talk was focused on Brexit. “I actually couldn’t believe it when I woke up this morning. 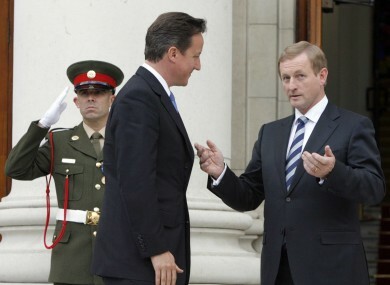 I was shocked,” said one Fine Gael TD. “Panicking is definitely not a strategy,” he said. Others were offering their two cents on what they made of Cameron. You could see it on his face. He knows that he could possibly be the Prime Minister that instigated the breakup of the UK and the breakup of the EU. Another said,”he will go down in the history books as the man that f**ked Britain and f**ed the EU”. It was not a strategy he thought through and now look where he has ended up. “Bring back Blair,” said one senator, while one former minister said frankly: “We’re in a right mess”. There are some in Leinster House who disagree that a Brexit is a catastrophe. Former Independent Alliance TD Michael Fitzmaurice, who declined to join his colleagues in the independent grouping in government in the wake of the election, said the UK should leave the EU. The Roscommon-Galway deputy has long said he is not an admirer of Europe and previously said he hoped the British people would take the plunge and get out of it. The British people have stood up to the scaremongering that has been happening over the last few weeks. The British people got fed up with being told what to do by Europe. He said this should be seen as “a huge opportunity” for both the UK and Ireland. Fitzmaurice said it was not a day to panic. The EU’s hands are tied – they are going to have to give back some of the powers they have taken from countries, cut out the red tape and maybe go back to the European Economic Community – which was one of the greatest-ever projects and what it was all meant to be about. He said the EU had to sit up and listen, stating that the issues aren’t going to go away for Europe. He said the disconnect between the people, the EU and politicians was a “big worry”. Fitzmaurice said the opportunity is now there to start discussions and renegotiate deals. He said there are many other countries outside the EU which are “fully functional” and have bilateral agreements with the EU. One concern voiced by some is how to control the possible spread of exits from the EU. The UK is the first country to leave the union, and some fear it will spark a tidal wave of other countries walking towards the door. Fitzmaurice said to prevent a mass exodus of other countries in the years to come, the bureaucracy in Europe would have to end. “They will have to pay attention and listen to what the people have said,” he concluded. Email “'Brexit is a huge opportunity - it's not a day for people to panic'”. Feedback on “'Brexit is a huge opportunity - it's not a day for people to panic'”.